Sleep has evaded me a lot lately. It is the result of stress. The kind that makes your head reel, your heart pound and your breath grow short. My proverbial cup runneth over – and it is not blessings that are oozing into the center of my being. I am in a season of sifting and it is literally touching all points of my life. I would like to take control and try to “fix” it all my way. Clearly, that is the heart of the problem. God’s sovereignty in my life is being challenged…by me. My control, my pride, my self-reliance – my denial, my, my…. I know better – God warns us all the time that Pride goes before the fall...hah – it was PRIDE (didn’t Adam and Eve know better than God?) that actually caused THE FALL (of mankind). When we are listening to anything but God’s leading and His will, we are setting ourselves up for a divine correction. Ouch. Jesus told his apostles that He prayed for them to be in this world, but not of it. He knew the hearts of men – (and women) and we are bent to self- destruct. We chase after all kinds of things – and replace God on the throne of our hearts. One might argue then, well God made me this way – hell bent, so how can I be accountable? Really? Has God not also loved us so much that He created us with FREE WILL to choose the right over the wrong? I could argue that the things that I have chosen which have interferred with God’s sovereignty are all good things – family, job, service…. Apart from God (and His sovereign will in our lives) we can accomplish nothing that lasts. God raises up kings and tear’s them down from their thrones. Our God will not be mocked (Gal 6:7)…and there is a heavy price to pay when He is. Going our own way is part of that mocking – because we are saying to Him, “My will be done” rather than Thy Will Be done. If we ask for His help, when we close out the howling of the world and turn and listen for God’s whisper – it is THEN that He will make a way for us to turn away from temptation, from willful denial of His sovereignty in our lives. Jesus is praying for you…for me! Scripture tells us that where two or more come together there He will be also…it occurs to me since we know that the Holy Spirit prays for us in our weaknesses with groanings and utterings (Romans 8:26)- and Jesus is too – well THAT is TWO that has a great deal of influence on our Father God. Thank God! In past blogs, I have written about the importance of choosing in advance. Joshua said, As for me and my house, we will serve the Lord. That is hard to do – in any century. But He is saying that HE made that choice – in advance….to serve the Lord. 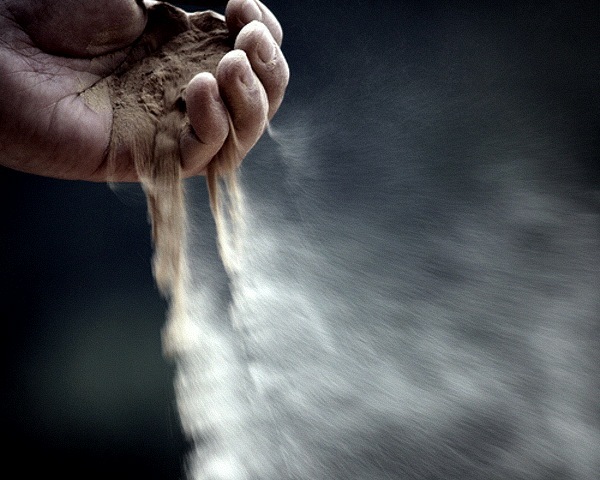 If we want to avoid our part in the season of sifting, we too must choose in advance. I am reminded of a Bob Dylan song that clarifies a 20th century view of this same things. There is literally nothing new under the sun. We must choose this day, every day every minute to remove ourselves from situations, thoughts and actions that take our eyes off the prize…which is Jesus Christ our Lord. Even if it seems like they are “good things” at the time. I am frequently reminding my young men (Thing 1 and Thing 2) that I pray that they will choose a wife who loves the Lord more than they love them. Sounds crazy right? But a wife (or a husband) who does is choosing to be subject to a higher authority – an arbitrator of the Holy court – God. It is His influence in our lives that keeps us from falling, from being hell – bent and from making unwise choices. It may not keep us out of a season of sifting, because God loves us too much to leave us as we are, but we will be able to stand the pressure. So while I am being sifted I want to remember something – I am in God’s hands. The sands of my life, my experiences and my soul belong to Him. He is praying for me – that my faith will not fail and as I turn back to Him, I am to strengthen others. Big breath – Ok God, I get it ..carry on. I trust YOU in this season of sifting…it is hard…but like Job, I look forward to restoration. A Sovereign God, God's View vs. World View, Life lessons, Life Stories, Observations, Slippery Slope, What Is Truth?